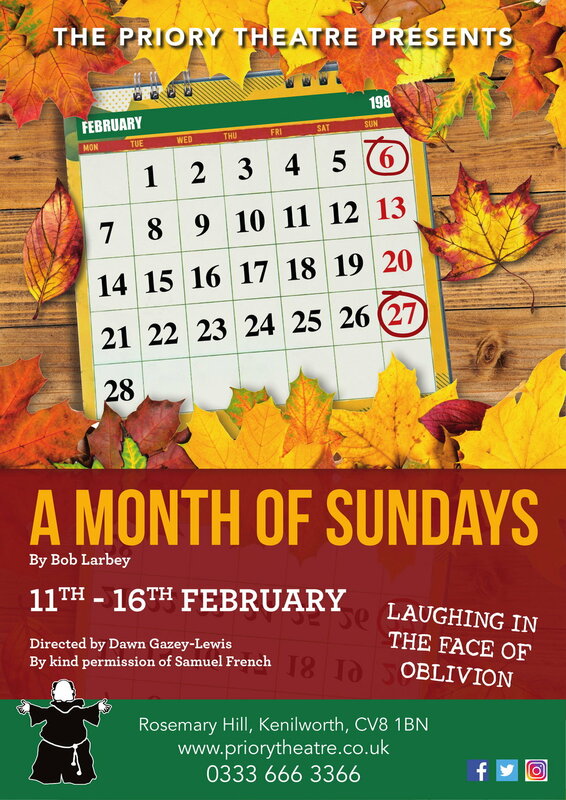 Winner of The Evening Standard Best Comedy Award, A Month of Sundays is a bittersweet comedy about growing old. Cooper has voluntarily gone into a nursing home rather than become a burden on his family. He holds on to his remaining dignity and independence through his banter, as he jokes with the other old folks, flirts with the female staff, and keeps a close check on his own "record of physical deteriorations". To the painful ritual of Sunday family visits, Cooper and his friend Aylott reply with humour and wit, aware that life can only be endured if treated as a comedy. This is Bob Larbey's first stage play, although he is well known for writing many television series such as The Good Life, Please Sir, Get Some In and Ever Decreasing Circles, with his co-writer, John Esmonde. His first solo venture for television, 'A Fine Romance’ won the British award for Best Comedy In 1982.